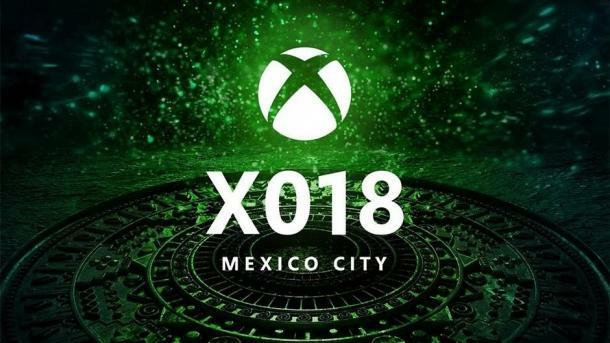 Over the weekend, Microsoft held a two-hour event X018, in which the Corporation has made announcements and plans for the future. First on stage was invited developers of the action in the open world of Crackdown 3. The authors of the game showed a new humorous video starring Terry Crews and demonstrated the gameplay in multiplayer mode Wrecking Zone. Next, to represent the game Kingdom Hearts 3 was the invited authors from Square Enix Osaka Team. Developers talked about the various features of the project and showed new gameplay footage. The next step X018 of the conference was the announcement of new projects that will appear in the paid service of Xbox Game Pass. These projects were: PlayerUnknown''s Battlegrounds, Thief of Thieves, Hellblade: Senua''s Sacrifice, Agents of Mayhem, Ori and the Blind Forest, MXGP3 - The Official Motocross Videogame, Thomas Was Alone. After the representatives of Microsoft in the lens cameras were the developers of the fighting game Jump Force. Developers commented on a small gameplay video, and hastened to pass the baton to the next participant. Developer Undead Labs boasted 4 million mark in active users of the game State of Decay 2, but also announced the update of the project: additions Zedhunter. Then the action moved again to the stage, where a representative of Avalanche studios already showed new footage of the gameplay and talked about the innovations sandbox Just Cause 4. Further, the public attention switched to the game process slashers, Devil May Cry 5. Here the authors of the project showed training mode The Void, in which players will be able to experience a wide Arsenal of weapons and abilities the main characters. No cost Microsoft presentation without a demonstration of the next update of Minecraft. The authors of the project presented a Supplement Cats & Pandas, and also spoke about a future update, which will include cars and a helicopter. In passing, the developers from Nixxes Software announced the addition of The Forge for adventure game Shadow of the Tomb Raider. Also at the presentation were shown the debut trailer for the DLC. Ukrainian Studio 4A Games showed a trailer for the collector's edition of the game Metro Exodus, which we will sell at the price of 16999. In conclusion, the authors car arcade Forza Horizon 4 has announced a new update Fortune Island, which adds a huge chunk of the map, where players will face new challenges, competitions and adventure. Also during X018 company Microsoft announced the acquisition of game studios Obsidian Entertainment and inXile Entertainment. American corporations simply invited the developers financial support in exchange for what they are good at.